I am still LOVING the farmhouse table my husband built. I will post pictures of it soon but you can basically see it all over my instagram account (makes the perfect background for food). Although we have the perfect dining table now, we have no chairs. I bought some temporary plastic ones from the AS IS section of IKEA and they honestly don't look that bad but they're not the ones I want. I used One Kings Lane's chair style guide and found my style is Modern. 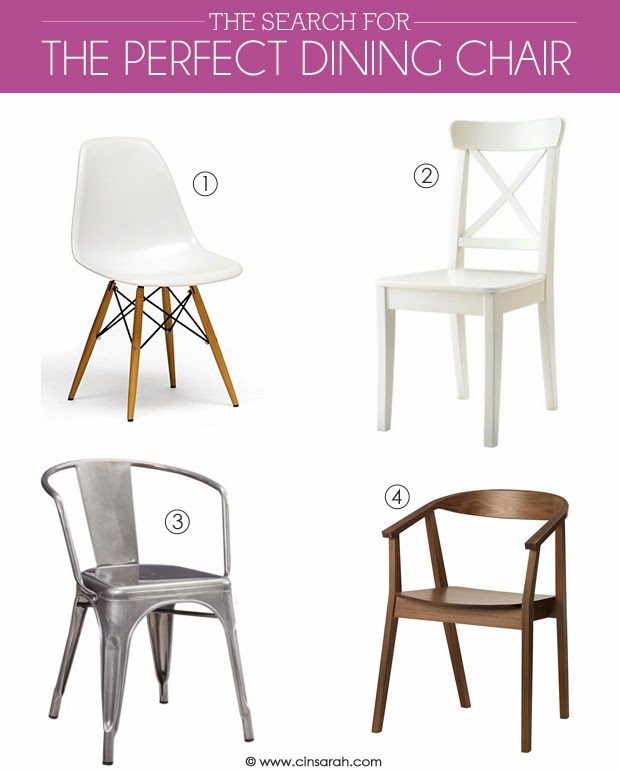 Based on this style guide I went online to search for modern style dining chairs and narrowed it down to just FOUR that I really love. Basically I'd like our chairs to be white or an accent color, I don't want it all to be wood especially since we now have the wood planked wall in our dining room but I loved the style of #4 so I added it to my top 4 list. Now I'm not sure when we will purchase chairs but I'd love your input! Which one of these chairs do you like? I love #1! I want to get something of that sort for our little table!